Star Wars - film canon. Video game series from 1982-2016. 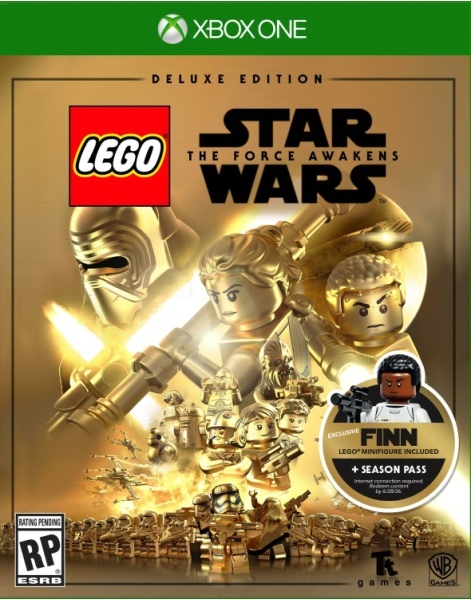 Lego Star Wars: The Complete Saga | LucasArts | 2007. Lego Star Wars: The Video Game | Eidos interactive | 2005. Lego Star Wars II: The Original Trilogy | LucasArts | 2006. Lego Star Wars III: The Clone Wars | LucasArts | 2011. 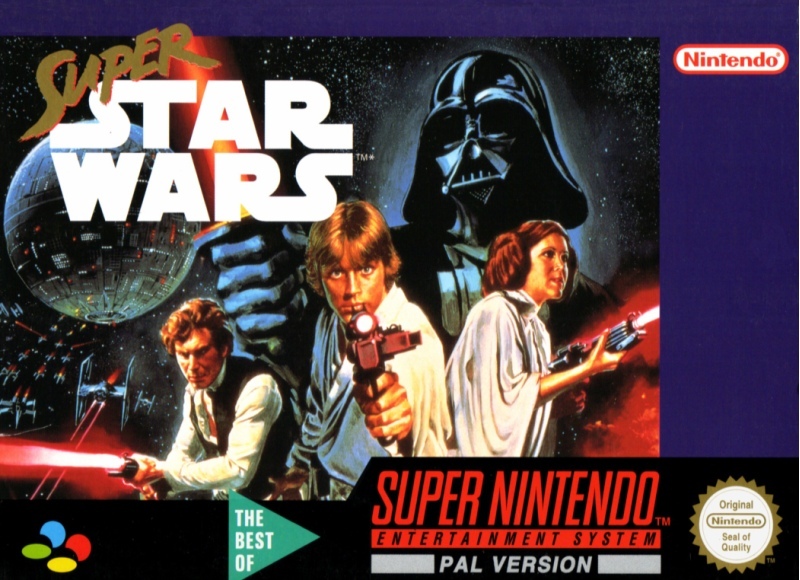 Star Wars | Domark | 1987 | EU ver. | by Steinar Lund | Amiga, Amstrad CPC, Atari ST, BBC Micro, Commodore 64, Electron, ZX Spectrum. Star Wars | Namco | 1987 | Famicom. Star Wars Arcade | Sega | 1994. Star Wars: Clone Wars | LucasArts | 2002. Star Wars: Episode I - Jedi Power Battles | LucasArts | 2000 | Dreamcast. 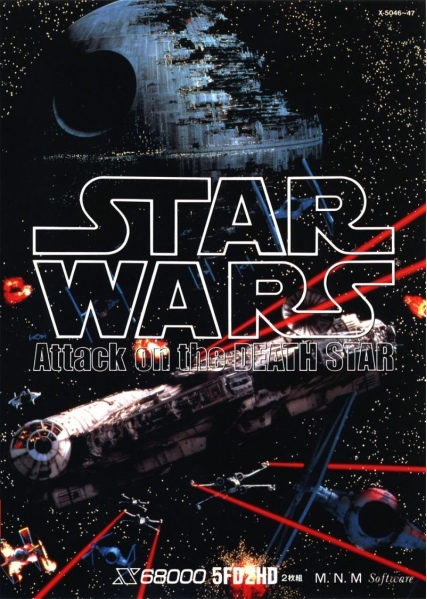 Star Wars: Episode I - Jedi Power Battles | LucasArts | 2001 | Game Boy Advance. 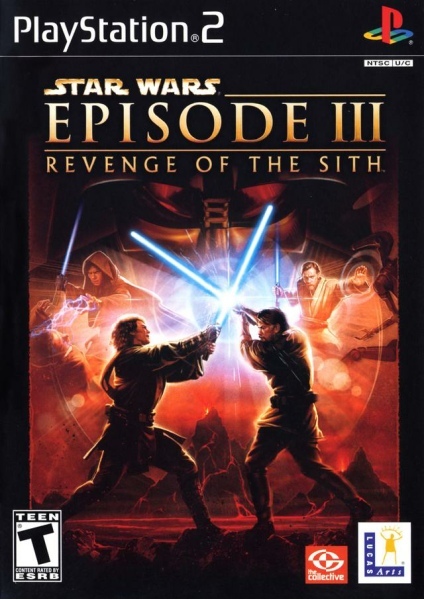 Star Wars: Episode I - Obi Wan’s Adventures | THQ | 2000. Star Wars: Episode I - The Phantom Menace | LucasArts | 1999 | by Drew Struzan. Star Wars: Episode II - Attack of the Clones | THQ | 2002. Star Wars: Obi-Wan | LucasArts | 2001. Star Wars: The Arcade Game | Parker Brothers | 1983. Star Wars: The Empire Strikes Back | Domark | 1988 | EU Amiga ver. Atari 2600/ VCS ver. pictured. 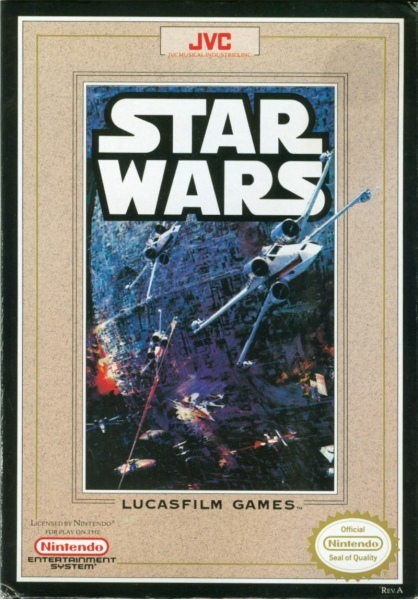 The very first Star Wars game would pass over 1977’s ‘A New Hope’ in favour of the more recent ‘Emipre Strikes Back’. 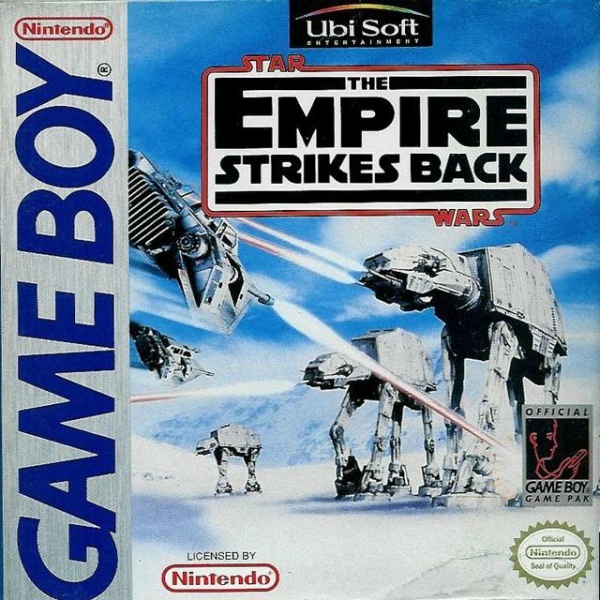 Compared to later series box arts Empire is a rather artistically simple affair that focuses on the games main setting, the battle of Hoth. The art direction is very much inline with other Parker Brother covers from the early 1980’s, as is the imposing silver border and bold type. Published by Ubisoft Entertainment in 1992 for the European and North American Game Boy markets. 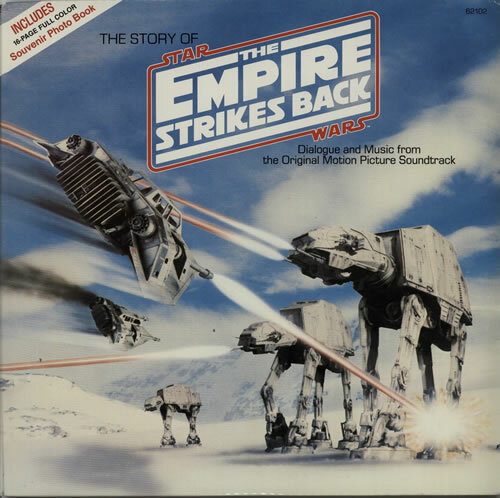 This artwork was originally used as the cover art for 1980 LP, ‘The Story of the Empire Strikes Back’, itself taken from a pool of conceptual artworks from the 1980 film. >Pictures from left to right - original box art and The Story of the Empire Strikes Back LP. Star Wars: Return of the Jedi by Steinar Lund. English artwork. Published by Domark in 1988 for the European market. 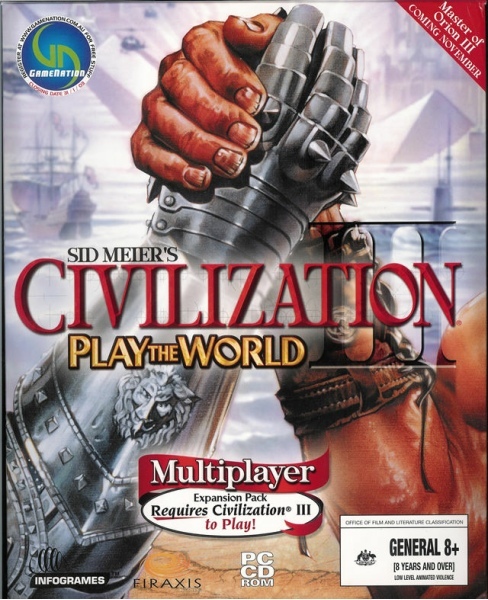 The original artwork is a larger more panoramic piece that the box art crops. It is artist Steinar’s favourite cover that he personally designed. 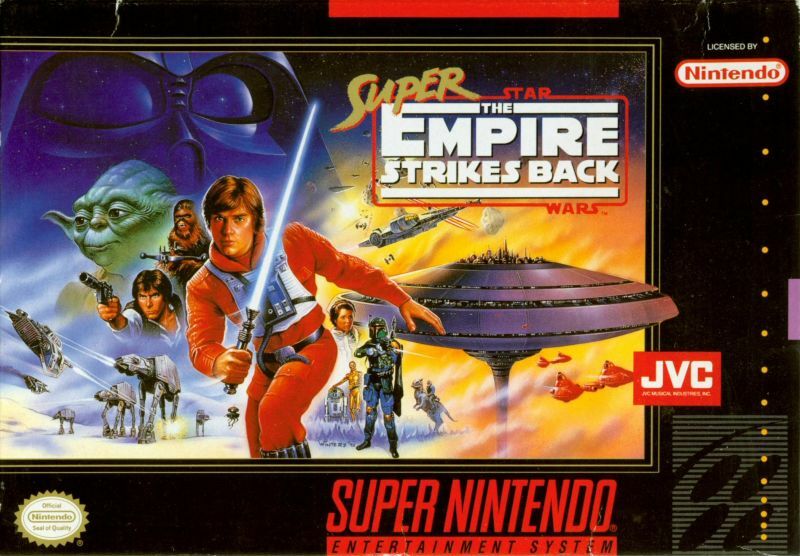 Steinar would also be responsible for Domark’s Star Wars game, but missed out on doing the cover for The Empire Strikes Back. >Pictures from left to right - original box art and artist sketches. Steinar Lund. Norwegian/ English box artist from 1981-1995. 3D Pool | Firebird Software | 1989 | EU ver. | Amiga, Amstrad CPC, Atari ST, BBC Micro, Commodore 64, Electron, MSX, ZX Spectrum. Alcatraz | Inforgrames Europe SA | 1992 | Amiga Atari ST, DOS. ARAC | Addictive Games Ltd | 1986 | Commodore 64. APB | Domark | 1989 | Amiga, Amstrad CPC, Atari ST, Commodore 64, MS DOS, ZX Spectrum. Apprentice | Rainbow Arts Software GmbH | 1990 | Amiga, Atari ST.
Armageddon Man | Martech Games Ltd | 1987 | EU ver. | Amiga, Amstrad CPC, Atari ST, Commodore 64, ZX Spectrum. Ashes of Empire | Mirage Tech Ltd | 1992 | Amiga. Attack of the Mutant Camels | Llamasoft | 1984 | Atari 8-bit. Backpackers Guide to the Universe Part 1 | Fantasy Software | 1984 | ZX Spectrum. Battle of the Planets | Mikro-Gen Ltd | 1985 | Amstrad CPC, Commodore 64, ZX Spectrum. Blood ‘n’ Gutz | Quicksilva | 1984 | Commodore 64. Boulderdash | Mirrorsoft Ltd | 1984 | EU ver. | Amstrad CPC, Atari 8-bit, ZX Spectrum. Castle of Terror | Melbourne House | 1985 | Commodore 64. Chuck Yeager’s Advanced Flight Trainer 2.0 | Electronic Arts | 1990 | EU ver. | Amiga, Atari ST, MS-DOS. Classic Adventure | Melbourne House | 1982 | Commodore 64, ZX Spectrum. Codename MAT 2 | Domark | 1985 | Amstrad CPC, ZX Spectrum. Cop-Out | Mikro-Gen Ltd | 1986 | Amstrad CPC, ZX Spectrum. Dark Side | Incentive Software | 1988 | EU ver. | Amiga, Amstrad CPC, Atari ST, Commodore 64, MS-DOS, ZX Spectrum. Dark Tower | Melboure House | 1984 | Commodore 16, Plus/4, Commodore 64. Dragonsbane | Quicksilva | 1983 | ZX Spectrum. Driller | Incentive Software | 1988 | EU ver. | Amiga, Amstrad CPC, Atari ST, Commodore 64, MS-DOS, ZX Spectrum. Dynamite Dan II | Mirrorsoft | 1985 | Amstrad CPC, ZX Spectrum. Fighting Warrior | Melboure House | 1985 | Amstrad CPC, Commodore 16, Plus/4, Commodore 64, ZX Spectrum. Fireblaster | Prism Leisure Corp | 1988 | Amiga, Atari ST. Frost Byte | Mikro-Gen Ltd | 1986 | Amiga, Amstrad CPC, Atari ST, Commodore 64, ZX Spectrum. Gatecrasher | Quicksilva | 1984 | Amstrad CPC, BBC Micro, Electron, ZX Spectrum. Gyroscope | Melboure House | 1985 | Amstrad CPC, BBC Micro, Commodore 64, Electron, ZX Spectrum. Hellfire Attack | Martech Games Ltd | 1988 | Amiga, Atari ST, Commodore 64, ZX Spectrum. Hunt for the Red October | Grandslam Entertainments Ltd | 1987 | EU ver. | Amiga, Amstrad CPC, Atari ST, Commodore 64, MS-DOS, MSX, ZX Spectrum. IBall | Firebird | 1987 | Amstrad CPC, Atari ST, Commodore 64, ZX Spectrum. Idris Alpha | Hewson Consultants | 1986. | Commodore 64. Ian Flemming’s James Bond 007 in Live and Let Die: The Computer Game | Domark | 1988 | Amiga, Amstrad CPC, Atari ST, Commodore 64, ZX Spectrum. Jahangir Khan Championship Squash World | Krisalis Software Ltd | 1986 | Acorn 32-bit, Amiga, Amstrad CPC, Atari ST, Commodore 64, MS-DOS, ZX Spectrum. Knuckle Busters | Melbourne House | 1986 | Commodore 64, ZX Spectrum. Kwah! 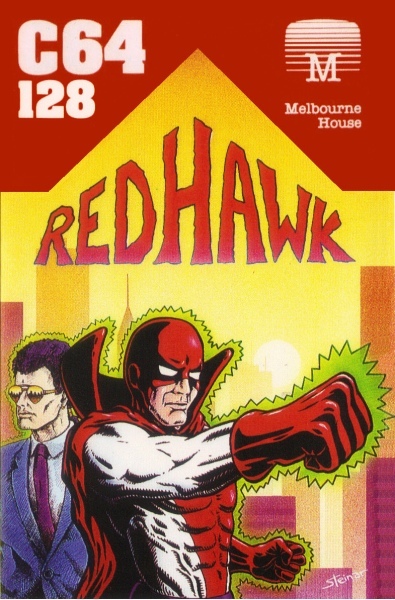 | Melbourne House | 1986 | Amstrad CPC, Commodore 64, ZX Spectrum. Lords of Chaos | Blade Software | 1990 | Amiga, Amstrad CPC, Atari ST, Commodore 64, ZX Spectrum. 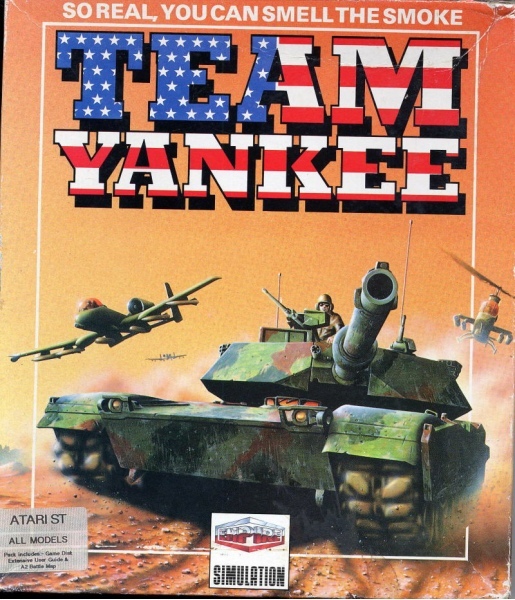 M1 Tank Platoon | Microprose | 1989 | EU ver. | Amiga, Atari ST, MS-DOS. Manchester United | Krisalis Software Ltd | 1991 | Amiga, Amstrad CPC, Atari ST, Commodore 64, MS-DOS, ZX Spectrum. Mad Doctor | Sparkers | 1985 | Commodore 64. Mad Professor Moriati | | 1990 | Acorn 32-bit, Amiga, Atari ST.
Mama Llama | Llamasoft | 1984 | Commodore 64. Mermaid Madness | Electric Dreams Software | 1986 | Amstrad CPC, Commodore 64, ZX Spectrum. Moon Strike | Mirrorsoft | 1987 | ZX Spectrum. Nigel Mansell’s Grand Prix | | 1987 | Amiga, Amstrad CPC, Atari ST, ZX Spectrum. Orbix: The Terrorball | Streetwise | 1986 | ZX Spectrum. Raid 2000 | Mirrorsoft | 1986 | Commodore 64. Rex | Martech Games Ltd | 1988 | Amstrad CPC, ZX Spectrum. Riddlers Den | Electric dreams Software | 1985 | ZX Spectrum. R.I.S.K | The Edge | 1988 | Commodore 64. Rules of Engagement 2 | Impressions Games | 1993 | Amiga, MS-DOS. Pac-Mania | Grandslam Entertainments Ltd | 1988 | Amiga, Amstrad CPC, Atari ST, Commodore 64, MSX, ZX Spectrum. Pacific Islands | Empire software | 1992 | Amiga, Atari ST, MS-DOS. Phantom Fighter | Martech Games Ltd | 1988 | Amiga. QS Defenda | Quicksilva | 1981 | ZX81, ZX Spectrum. QS Invaders | Quicksilva | 1981| ZX81, ZX Spectrum. Sabre Team | Krisalis software House | 1992 | Amiga, Atari ST, CD32, MS-DOS. 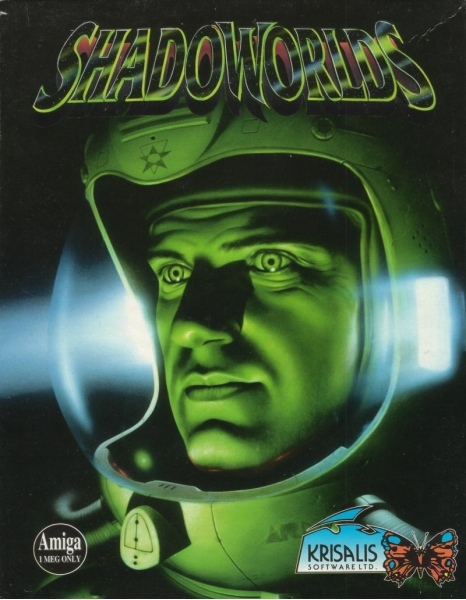 Shadoworlds | Krisalis software House | 1992 | Amiga, Atari ST, MS-DOS. Shoot-Out | Martech Games Ltd | 1988 | Commodore 64, ZX Spectrum. Smugglers Cove | Quicksilva | 1983 | ZX Spectrum. Soul Crystal | Starbyte Software | 1992 | Amiga, Atari ST, Commodore 64, MS-DOS. Space Bucks | Sierra On-Line | 1996 | Windows 3.x. Stainless Steel | Mikro-Gen Ltd | 1986 | Amstrad CPC, ZX Spectrum. Star Wars | Domark | 1988 | EU ver. | Amiga, Amstrad CPC, Atari ST, BBC Micro, Commodore 64, Electron, Game Boy, Macintosh, MS- DOS, ZX Spectrum. Stunt Track Racer | Microstyle | 1989 | Amiga, Amstrad CPC, Atari ST, Commodore 64, MS-DOS, ZX Spectrum. Terramex | Grandslam Entertainments Ltd | 1987 | EU ver. | Acorn 32-bit, Amiga, Amstrad CPC, Atari ST, Commodore 64, MSX, ZX Spectrum. Terror of the Deep | Mirrorsoft Ltd | 1986 | Amstrad CPC, Commodore 64, ZX Spectrum. Thunderbirds | Grandslam Entertainments Ltd | 1989 | Amiga, Amstrad CPC, Atari ST, Commodore 64, MSX, ZX Spectrum. Total Eclipse | incentive Software | 1988 | EU ver. | Amstrad CPC, Commodore 64, ZX Spectrum. Tube, The | Quicksilva | 1987 | Commodore 64, ZX Spectrum. Twilight: 2000 | Empire Sotftware | 1992 | EU ver. | MS-DOS. Uridium 2 | Renegade Software | 1993 | Amiga. Vikings: Fields of Conquest - Kingdoms of England | Krisalis Software | 1992 | Amiga, MS-DOS. Vindicators | Domark | 1989 | EU ver. | Amiga, Amstrad CPC, Atari ST, Commodore 64, ZX Spectrum. Viva Vic! | Llamasoft | 1986 | VIC-20. Winzer | Starbyte Software | 1991 | Amiga, Atari ST, Commodore 64, MS-DOS. Xadom | Quicksilva | 1983 | ZX Spectrum. Xiphos | Electronic Zoo | 1990 | Amiga, Atari ST, MS-DOS. After studying Interior Design at Kingston college, Steinar would decide on a career as a painter and start to build his portfolio. Come the early 1980’s he would get his break into the video game industry by freelancing for early Sinclair studio Quicksilva. Founder’s Nick Lambert and Jon Hollis would take on the aspiring box artist after Steinar took it upon himself to supply them examples of art roughs. It led to him being commissioned for game QS Defenda (1981) and a claim to creating the - thus far known - earliest piece of coloured art to adorn a European video game. He would carry on working with Quicksilva alongside artist’s David John Rowe and Rich Shenfield on titles such as QS Asteroids (1981), Xadom and Smugglers Cove (both 1983) before branching out and freelancing for Melbourne House. But it would be upon meeting with famed designer Jeff Minter and working on Llamasoft’s cover arts that the embodiment of Steinar’s art style, along with his penchant for vivid and surreal characterisation would be truly revealed. His box arts for cult classics such as Ancipital, Attack of the Mutant Camels (both 1984) and Batalyx (1985) would epitomise his early work: intoxicatingly colourful, abstract and fun. They would also exemplify the artist’s own inspiration found in the works of Salvador Dali, Roger Dean and Maxfield Parrish. 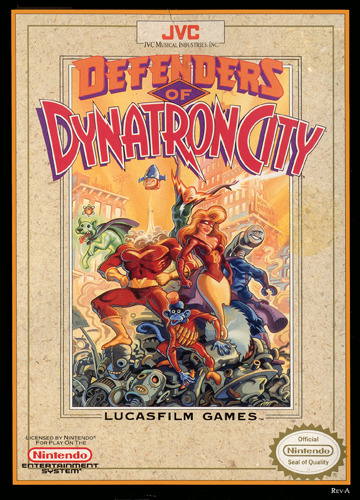 By the latter half of the 1980’s his cover arts had started to become deliberately richer and more detailed due to the dawn of 16-bit gaming (Amiga, Atari ST, DOS) and the demand for a level of artistry that complemented the finer graphics the games now offered. Cover arts such Armageddon Man, Hunt for the Red October (both 1987) and, one of his personal favourites, Return of the Jedi (1988) would all display this new level of detail that also benefited from the larger boxes now commonly used. This period furthermore produced The Last Ninja (1987). The box art would be instantly recognisable to 80’s gamers, and ended up as one of Steinar’s most well known due to the game’s success. 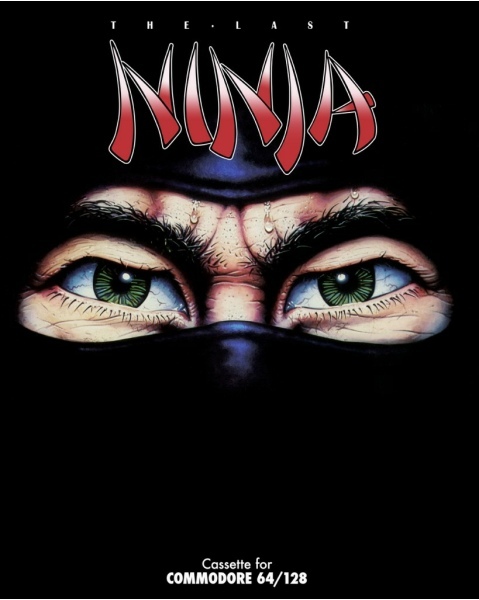 It would inspire the cover art designs for the two European sequels, and be used again for the Amiga CD32 release of The Last Ninja 3 (1994). Ending the decade Steinar teamed up with Microprose and his versatility would again be flexed with M1 Tank Platoon (1989). 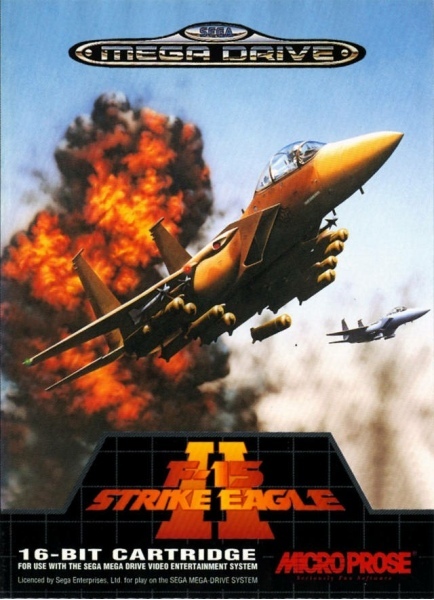 Its high level of detail, historic accuracy and a near photo finish look would lead the artist on to other similar Microprose projects such as Gunship (1989), Team Yankee (1990) and F-15 Strike Eagle II (1991) and define his later box art career. 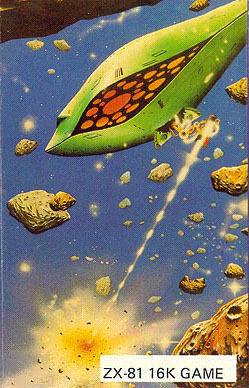 His final cover art would be sci-fi epic Space Bucks (1995), which unfortunately would be heavily redesigned from the original (a first for the artist). As with many box artists of his generation, Steinar left the industry by the mid-90’s when CG art started to wrestle out traditional art. Steinar’s preferred art media throughout his box art career was airbrushed inks and acrylics. Both would prove sturdy and gave him the intense colours that defined his cover arts. Presently Steinar is freelancing as an illustrator while also developing his photography and video skills. He’s a published musician, and his many works and further details can be found HERE. 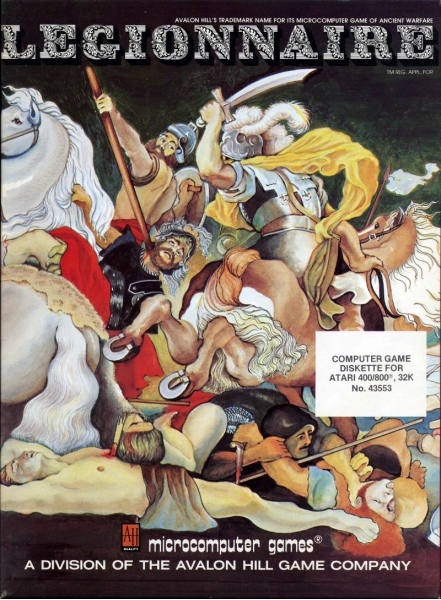 Published by Llamasoft in 1984 for the European Commodore 64 market. 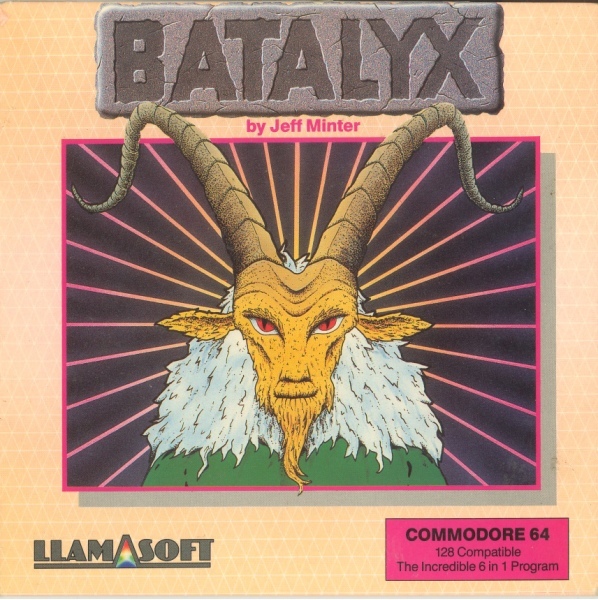 Ancipital’s box art would be one of many collaborations between Llamasoft’s Jeff Minter and artist Steinar Lund (also see, Batalyx and Attack of the Mutant Camel). 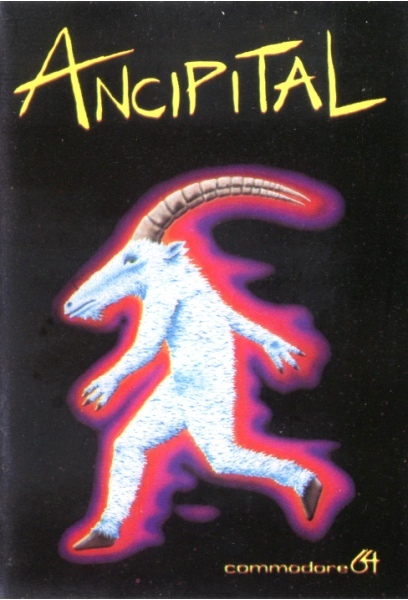 Ancipital was and still is a great example of how strong characterisation can be all a cover art needs to market a game. It’s pop-psychadelic style and vivid use of colour was uncommon in Europe’s tentative 1984 box art scene, and was created using the artist’s prefered art medium of airbrush inks. The cover would scream graffiti-art, as if some bold statement was being made, and will undoubtedly end up being the only time a hoven man-yak was depicted! Published by Quicksilva in 1981 for the European market. One of the earliest painterly (airbrushed) box arts designed in Europe. It would be reissued the following year for the ZX Spectrum and this time, rather more helpfully, with the game’s title written on the front. This version’s inlay, along with the other three QS titles, was originally made with photo paper before being reissued with full colour printed versions. Published by Domark in 1988 for the European market. 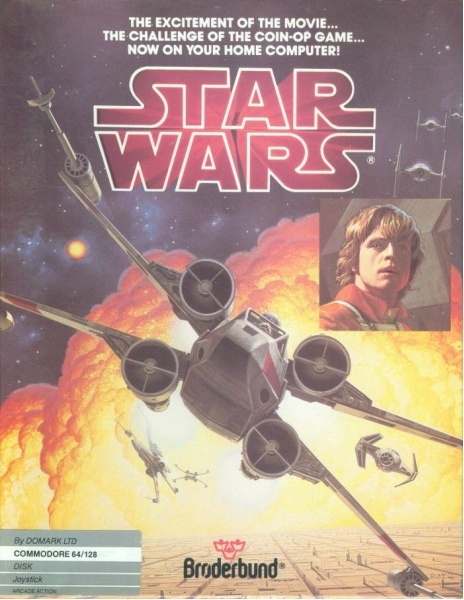 The original artwork is a larger more panoramic piece that the box art crops. It is artist Steinar’s favourite cover that he personally designed. 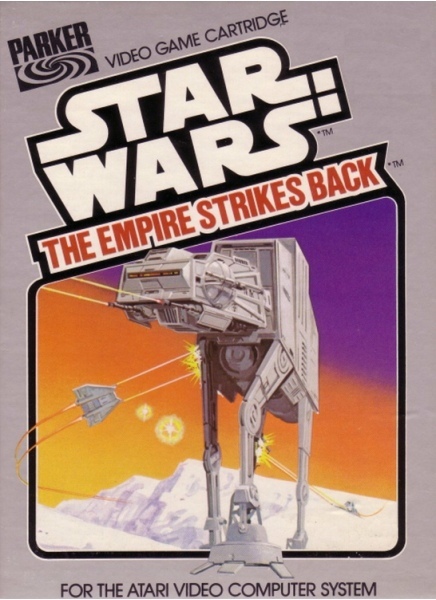 Steinar would also be responsible for Domark’s Star Wars game, but missed out on doing the cover for The Empire Strikes Back. Stephanie M. B. Czech. North American box artist from 1982-1983. Controller | The Avalon Hill Game Company | 1982 | Apple II, Atari 8-bit. Knockout | The Avalon Hill Game Company | 1982 | Atari 8-bit. 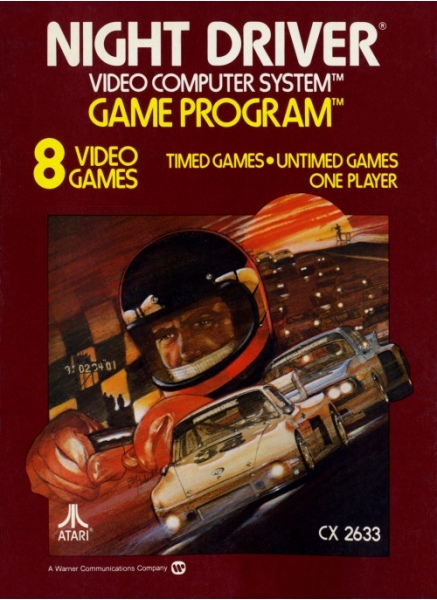 Roadracer Brawler | The Avalon Hill Game Company | 1982 | Atari 8-bit, Commodore PET/CBM. Paris in Danger | The Avalon Hill Game Company | 1983 | Atari 8-bit. Published by The Avalon Hill Game Company in 1982 for the the North American market. Stephanie’s excellent cover for Legionnaire would be a high point in Avalon’s box art catalogue. It would take obvious inspiration from the ancient Graceo/ Roman art world and pull off the style with some aplomb, looking as though it had been cut from a 2000 year old fresco. It is a masterful example of overall composition design, with a delicate colour pallette and emotional characterisation. It exudes masculinity and the messy, tragic results of war. Stephen Bliss. English box artist from 2001-2008. Grand Theft Auto: Chinatown Wars | Rockstar Games | 2009 | Nintendo DS, Sony PSP. 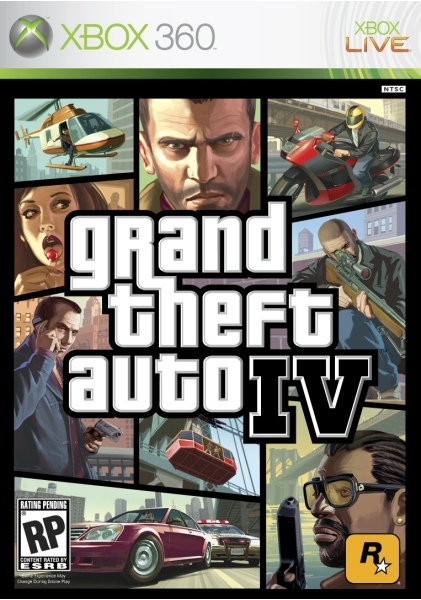 Grand Theft Auto: Episodes from Liberty City | Rockstar Games | 2010 | PS3, Windows, Xbox 360. Grand Theft Auto: Liberty City Stories | Rockstar Games | 2005 | PS2, Sony PSP. 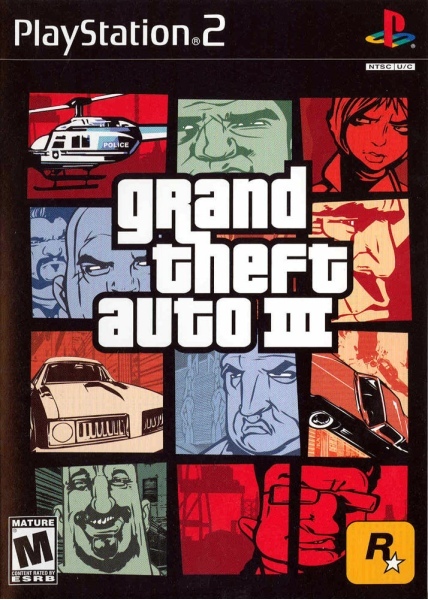 Grand Theft Auto: The Trilogy | Rockstar Games | 2005 | PS2, Windows, Xbox. 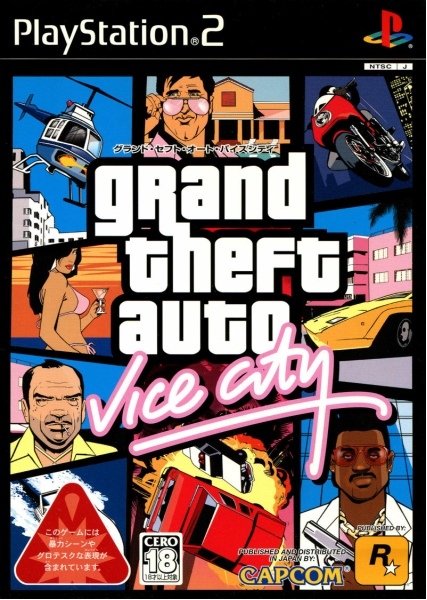 Grand Theft Auto: Vice City Stories | Rockstar Games | 2006 | PS2, Sony PSP. L.A Noire | Rockstar Games | 2011 | PS3, Windows, Xbox 360. 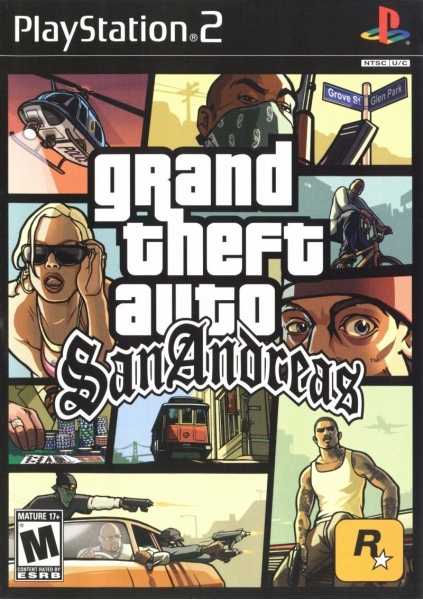 As Senior Artist with Rockstar Games from 2001 to 2016 Stephen Bliss helped establish the highly recognizable illustrative style that defined the look, feel and positioning of the gaming mega-franchise Grand Theft Auto. He painted video game box covers, posters, billboards and magazine covers for GTA and many other successful game titles such as The Warriors, LA Noire and Red Dead Redemption. Bliss also headed Rockstar’s Lifestyle Branding department, creating non-game related posters and products that helped reinforce Rockstar’s reputation as a creative powerhouse. 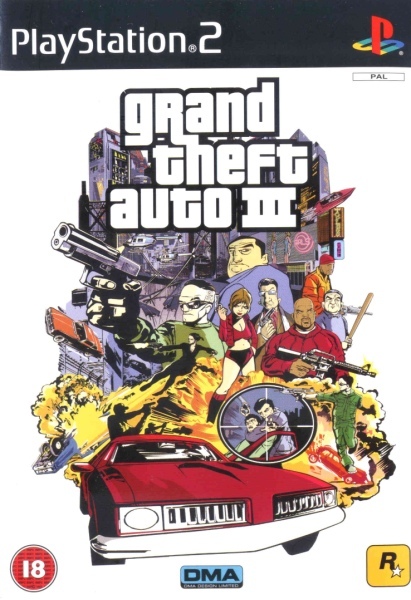 Loaded with American blaxploitation and cop movie clichés, Grand Theft Auto III’s (GTA) European box art would be a throwback to explosive 1970’s film poster art. Stephen’s caricatured characters, full of gross societal parodies, would interestingly be at odds with GTA’s gritty realism depicted in game. It’s 1970’s look would also disagree with the game’s early 2000’s setting, but the chaotic mash up of villains, fast cars and explosions would bridge the game and box art perfectly. 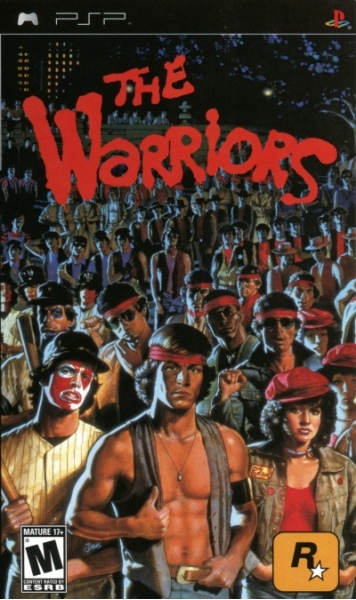 The movie poster look can also be seen to parallel the game’s filmic qualities, and it’s Americanisation would have an obvious appeal with European audiences. 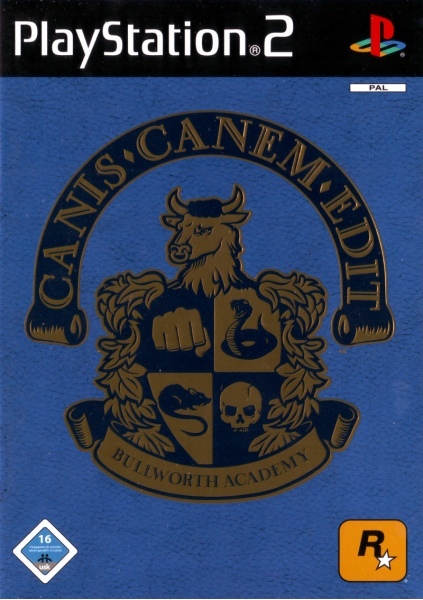 The cover’s look would be a one off for the series with all subsequent box arts worldwide using the North American version’s montage style. >Pictures from left to right - EU box art and JPN/ NA box art. 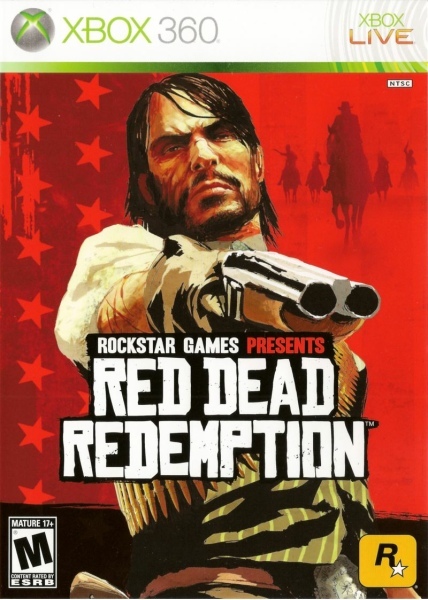 Published by Rockstar Games in 2001 and for the European market. Steve Erwin. North American box artist in 1993. Published by Konami in 1993 for the Japanese Super Famicom market. 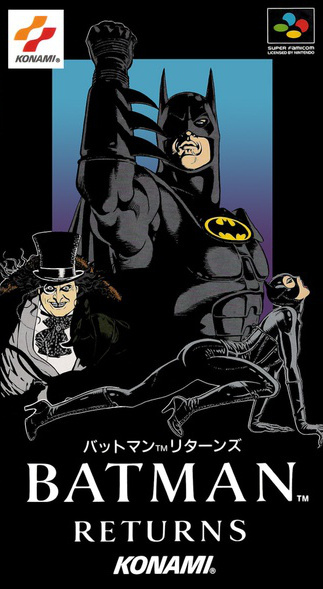 Erwin’s artwork appears to have come from the same session that created the Batman Returns: The Official Comic Adaptation (1992). Erwin would join a small list of of western artists who can claim exclusive Japanese cover arts. The European and North American versions would use movie stills from the film, as was common practice at the time. Steve Purcell. North American box artist from 1988-2011. Herc’s Adventure | LucasArts | 1997 | PS1. Mortimer and the Riddles of the Medallion | LucasArts | 1996 | Macintosh, Windows. Secret of Monkey Island, The | LucasFilm Games | 1990 | Amiga, Atari ST, FM Towns, Macintosh, Mega CD/ Sega CD, MS-DOS. Tales of Monkey Island | LucasArts | 2009 | Macintosh, Windows. 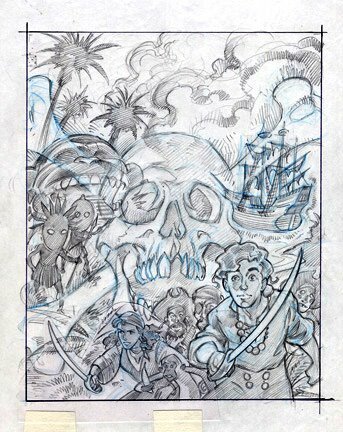 Tales of Monkey Island: Premium Edition | Lace Mamba Global | 2011 | Macintosh, Windows. 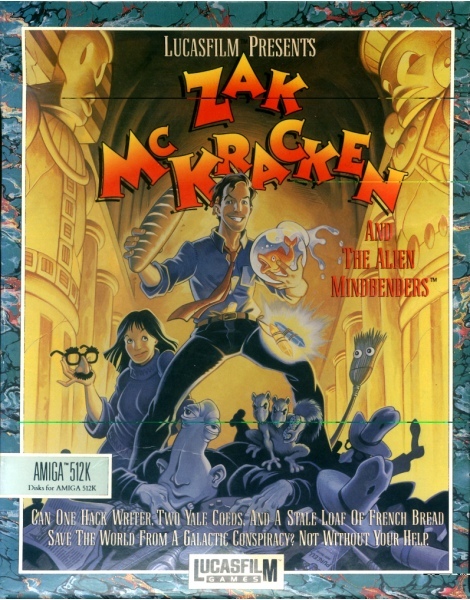 Zak McKracken and the Alien Mindbenders | Lucasfilms Games | 1988 | EU/ NA ver. | Amiga, Atari ST, Commodore 64, MS-DOS. After studying at the California College of arts and crafts Steve would freelance for a number of years as a jobbing artist and as a penciller for Marvel comics. This period would be the genesis of Steve’s most enduing characters: Sam & Max. LucasFilm Game’s artist Ken Macklin (Manic Mansion) would introduce his art director, Gary Winnick to the newly released Sam & Max comic strip, and on the strength of it Steve was hired in 1988 as an adventure game artist and animator. His first task would be the box art for Zak Mckracken and the Alien Mindbenders (1988) before working on in-game pixel art for Indiana Jones and the Last Crusade (1989). It would be his work on The Secret of Monkey Island (1990), including the games box art, that would expose his art at an international level. Compared to the familiar territory of Zak’s cartooned style, Monkey’s more painterly realism in opaque watercolours would creatively stretch the artist. 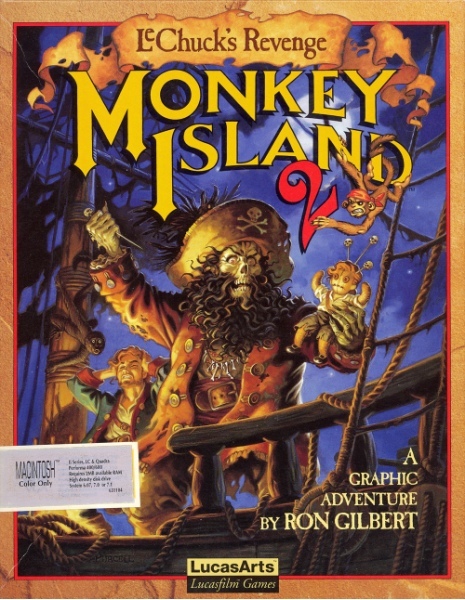 The following year’s sequel Monkey Island 2: LeChuck’s Revenge (1991) Steve would credit as a more successful box art from a design perspective. It’s character art was created by taking photos of his girlfriend modelling in pirate attire whilst being dramatically lit. LeChuck’s Revenge would be painted in oils over the course of a month, and as with the first game, Steve would be responsible for the conceptual art and animation. What followed would surprise Steve; LucasArts approached him on using the Sam & Max licence. 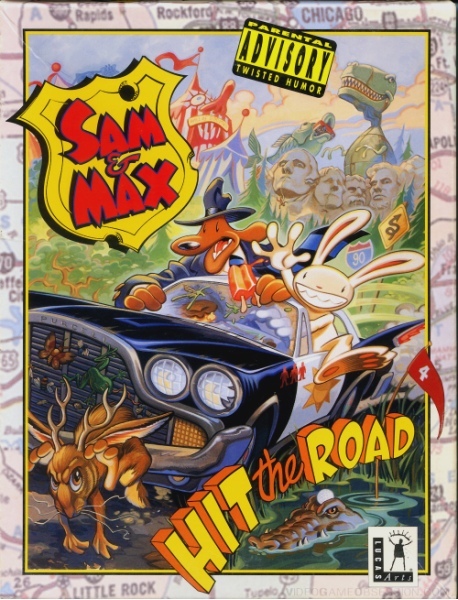 Sam & Max: Hit the Road was released in 1993 and would be a landmark game in character development, humour and design. 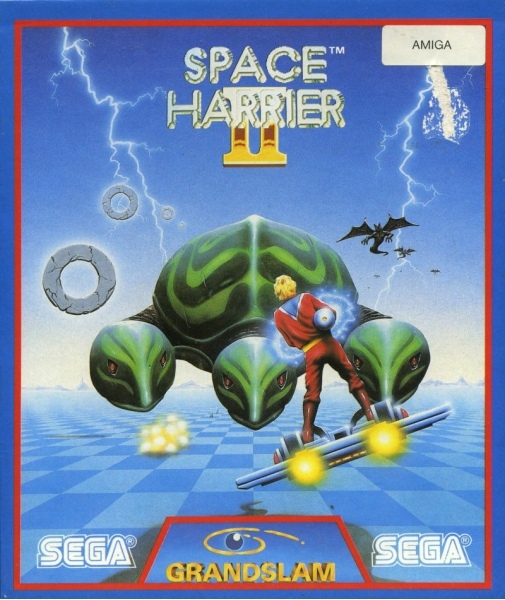 Steve would be responsible at every level of the games creation including the duo’s cover art. 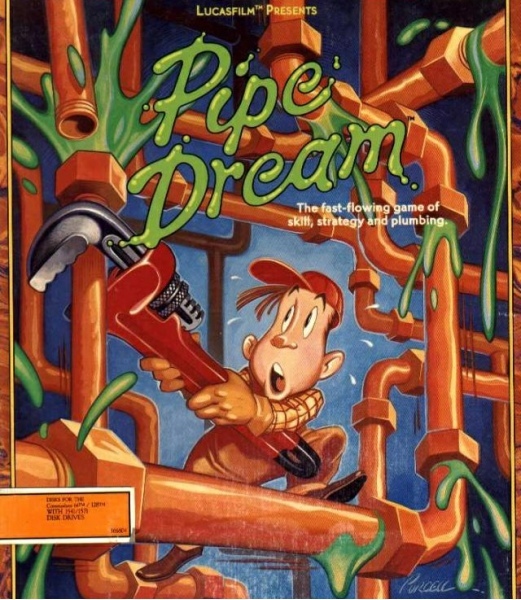 Steve has said that he always found painting box art fun because of the opportunity it gave to flesh out the pixelated characters on screen, defining their look and world in paint over computer art. This traditional view point could also go some way in explaining why he created the box art for Telltale’s Tales of Monkey Island (2009) using acrylics at a time when most artists favoured digital art (he has always favoured traditional media even when creating comic strips). Leaving LucasArts in 1996 would free Steve to pursue a Sam & Max animated series and also gave him the opportunity to freelance for other developers and their characters including Sega’s ToeJam and Earl. 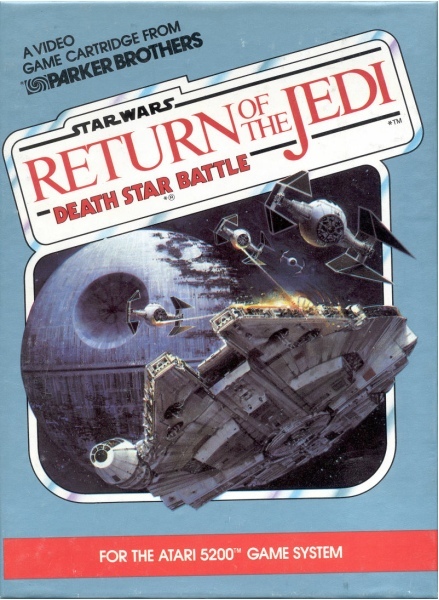 Published by Lucasfilms Games in 1988 for the European and North American markets. The artist’s debut box art. 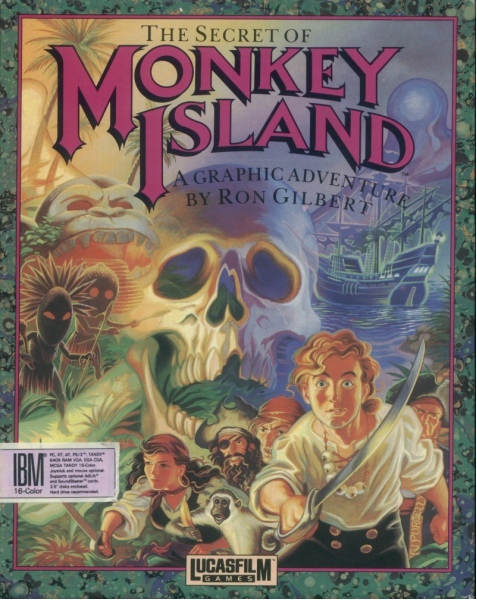 Debut box art for the Monkey Island series and Steve’s most widely used cover art. Compared to the familiar territory of Zak McKracken’s cartooned style of art (1988), Monkey’s more painterly realism in opaque watercolours would creatively stretch the artist at the time. 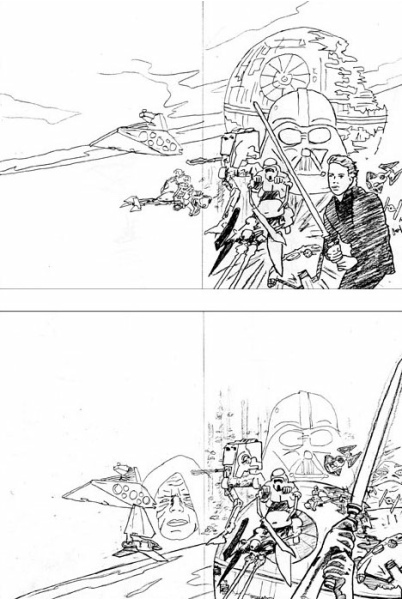 >Pictures from left to right - original box art and sketch on tracing paper. 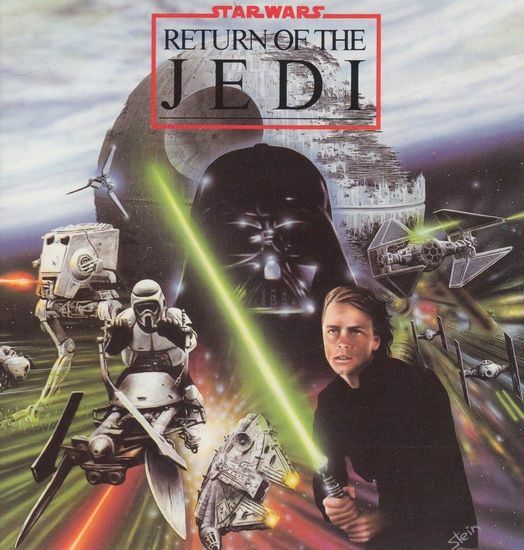 Published by LucasFilm Games globally from 1990. Steve Hendricks. North American box artist from 1980-1981. Defender | Atari | 1981 | Atari 8-bit, Atari 2600/ VCS, Atari 2800. Haunted House | Atari | 1981 | Atari 2600/ VCS, Atari 2800. Othello | Atari | 1980 | Atari 2600/ VCS. Steeplechase | Atari | 1980 | Atari 2600/ VCS. Video Checkers | Atari | 1980 | Atari 8-bit, Atari 2600/ VCS. Warlords | Atari | 1981 | Atari 2600/ VCS, Atari 2800. Steve Huston. North American box artist from 1986-1989. Chamber of the Sci-Mutant Priestess | Data East | 1989 | NA ver. | Amiga, Atari ST, MS-DOS. Drakkhen | Data East | 1989 | NA ver. | Amiga, Atari ST, MS-DOS. Mountain Madness: Super Pro Skiing | INTV Corp | 1988 | Intellivision. Super Pro Decathlon | INTV Corp | 1988 | Intellivision. Super Pro Football | INTV Corp | 1986 | Intellivision. Steve Peringer. North American box artist from 1989-1994. Bugs Bunny’s Crazy Castle | Kemco | 1989 | Game Boy, NES. Final Fantasy Legend, The | Squaresoft | 1990 | NA ver. | Game Boy. Final Fantasy Mystic Quest | Squaresoft | 1992 | EU/ NA ver. | SNES. Leisure Suit Larry Greatest Hits and Misses | Sierra On-line | 1994 | MS-DOS, Windows 3.x. Shadowgate | Kemco | 1989 | NA ver. | NES. Steve Chorney. North American box artist from 1983-2005. Chess | Texas Instruments | 1983 | TI-99/4A . Dungeons & Dragons: Dragonshard | Atari | 2005 | Windows. Football | Texas Instruments | 1983 | TI-99/4A. Strider. Capcom video game series from 1989-2014. Strider | Sega | 1990 | EU/ NA Mega Drive/ Genesis ver. Strider | Sega | 1990 | JPN Mega Drive ver. 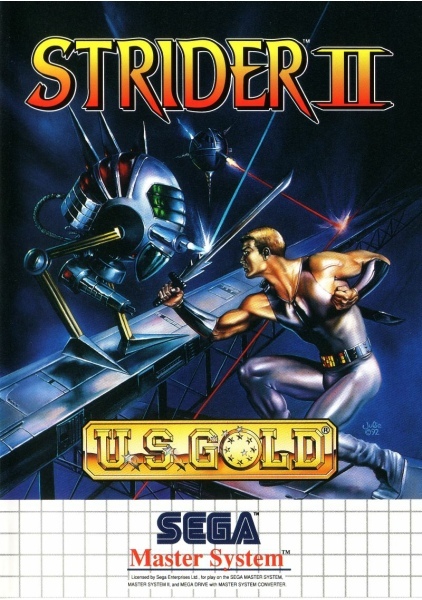 Strider II | U.S.Gold | 1990 | Amiga ver. 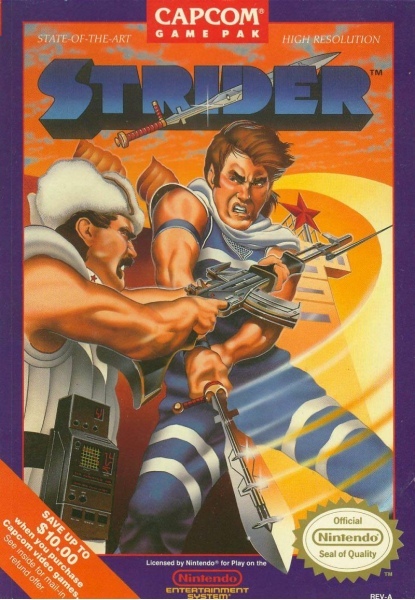 Strider | U.S.Gold | 1989 | EU C64 ver. Strider 2 (ストライダー飛竜１＆２) by HaruMaru. 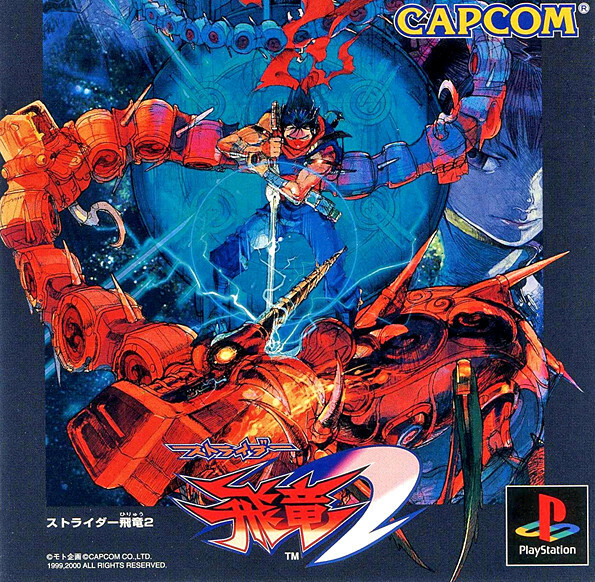 Published by Capcom in 2000 for the Japanese PS1 market. 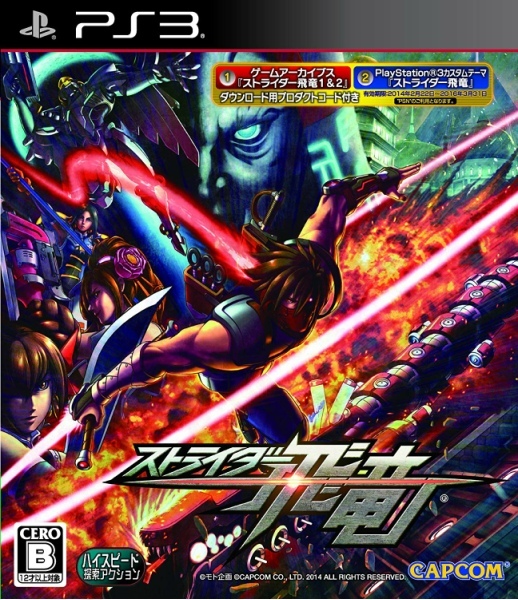 “Strider 2 came 10 years after the first game, and perhaps because of the pressure of living up to the prequel, the artist (Harumaru) really fretted over the pose and layout of this illustration. It has a lot of dynamic movement overall, but there are some problems with the composition. If only he’d had a little more time…” via Shoei in Capcom Illustrations: GAMEST MooK Vol.17. Street Fighter | GO! Media Holdings | 1988 | EU ver. | Amiga, Amstrad CPC, Atari ST, Commodore 64, ZX Spectrum. Street Fighter: 30th Anniversary Collection | Capcom | 2018 | by Shinkiro | PS4, Switch, Windows, Xbox One. 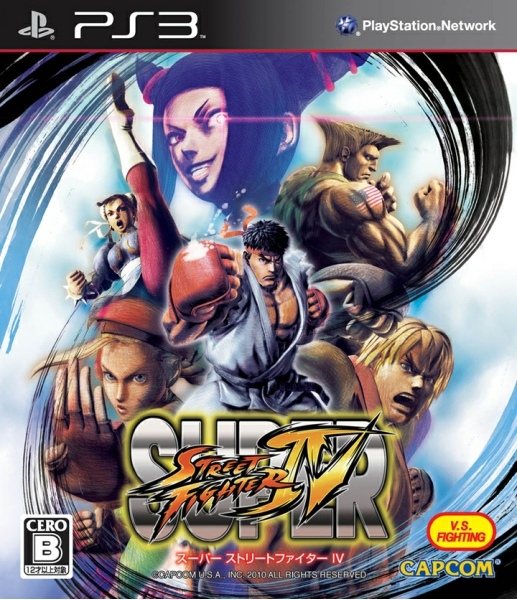 Street Fighter: Anniversary Collection | Capcom | 2004 | PS2. 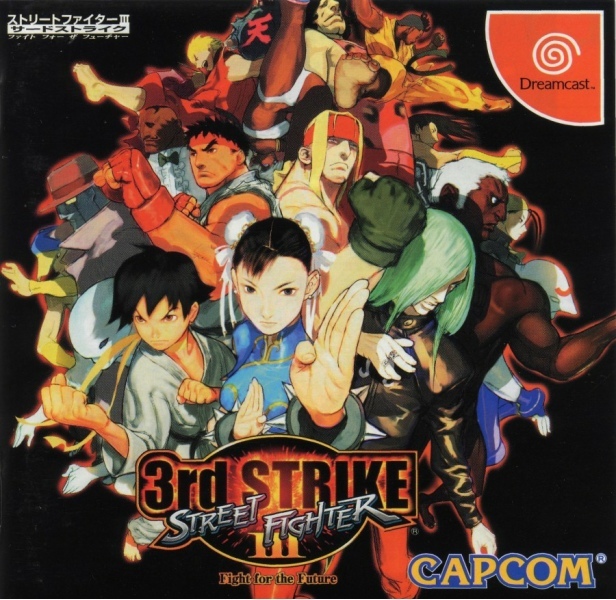 Street Fighter III: Double Impact | Capcom | 2000 | Dreamcast. Street Fighter IV 3D Edition | Capcom | 2011 | EU/ NA ver, | by Daigo Ikeno | 3DS. Street Fighter IV 3D Edition | Capcom | 2011 | JPN ver | by Daigo Ikeno | 3DS. Street Fighter V | Capcom | 2016 | JPN ver. | PS4, Windows. Street Fighter V | Capcom | 2016 | EU/ NA ver. | PS4, Windows. Street Fighter V: Arcade Edition | Capcom | 2018 | PS4. 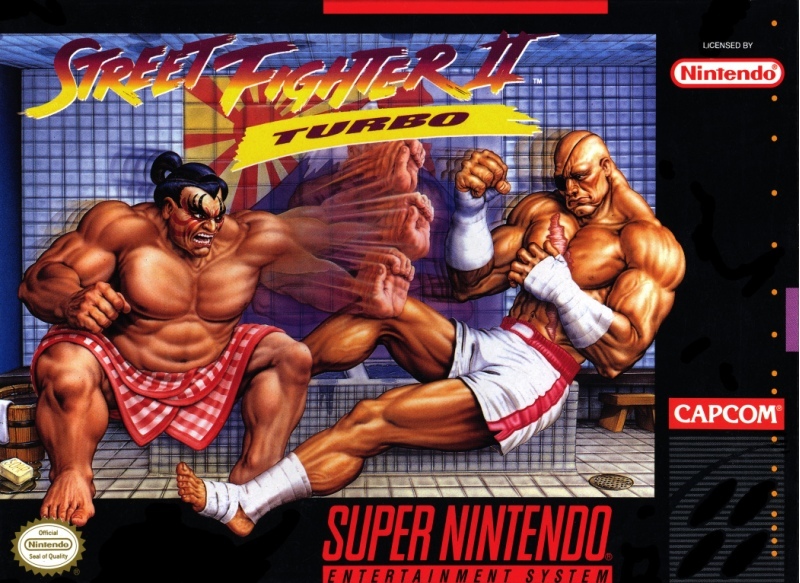 Super Street Fighter II Turbo | Capcom | 1995 | NA ver. | MS-DOS. 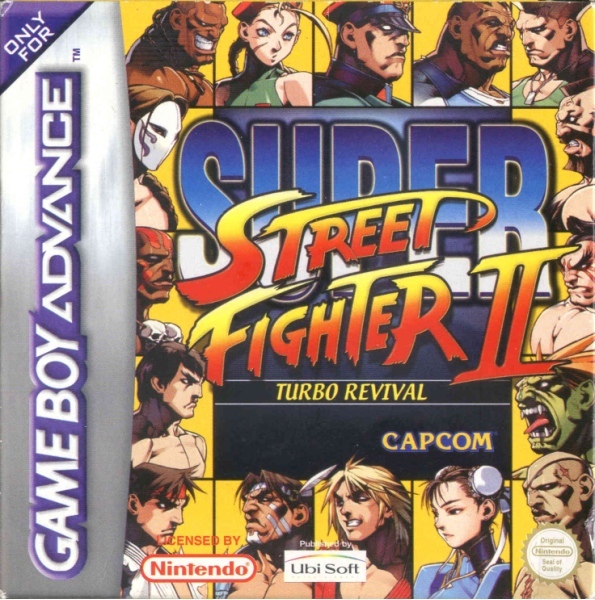 Super Street Fighter II Turbo | Capcom | 1996 | EU/ NA ver. | Amiga, CD32. Ultra Street Fighter IV | Capcom | 2014 | EU/ NA ver. | by Daigo Ikeno | PS3, PS4 Windows, Xbox 360, Xbox One. Ultra Street Fighter IV | Capcom | 2014 | JPN ver. | by Daigo Ikeno | PS3, PS4 Windows, Xbox 360, Xbox One. 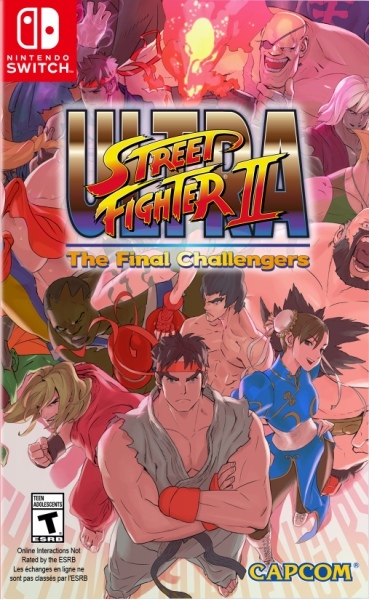 Super Street Fighter II: The New Challengers by Muraoka Satoshi. Japanese artwork. 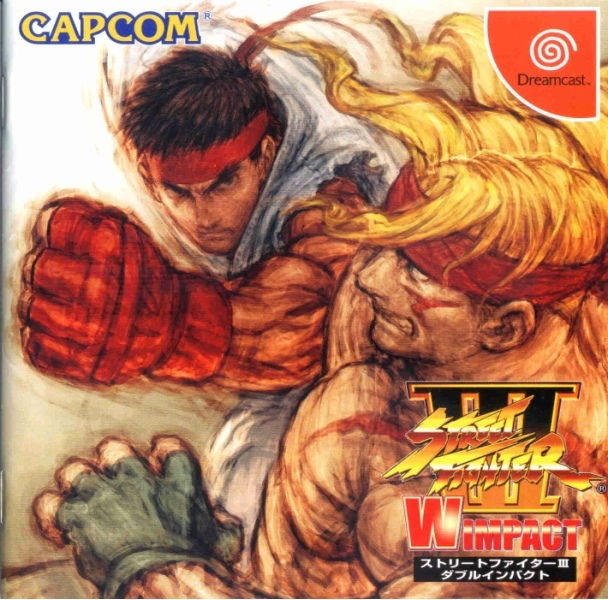 Published by Capcom in 1994 for the Japanese market. 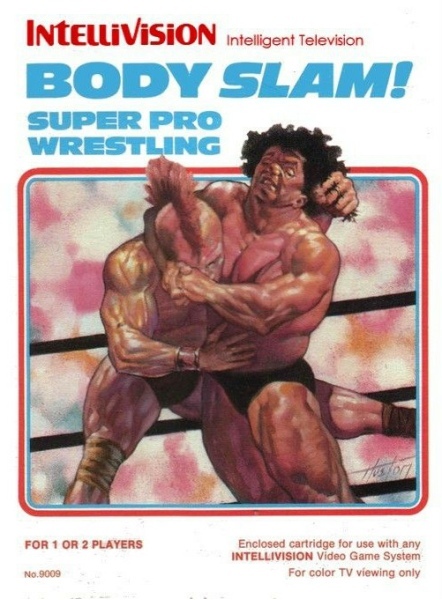 Capcom would break trends and use renowned manga artist Muraoka Satoshi instead of one of its in-house illustrators. 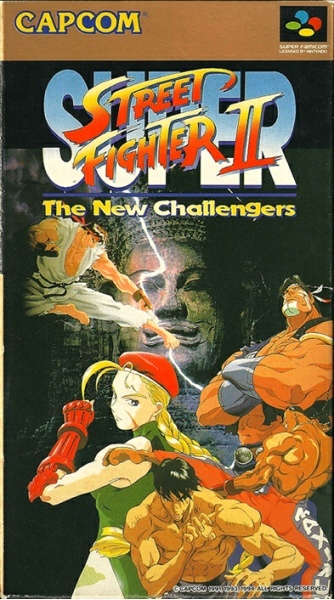 The box art is made up of character art used in the Street Fighter anime movie that was released shortly after, indicating some promotional tie between game and movie. The European and North America version would again see artist Mick McGinty take the reigns producing his final Street Fighter box art. Japanese home computers the Sharp X68000 and FM Towns would use manual art from Street Fighter II: Special Champion Edition as box art (by Shoei). 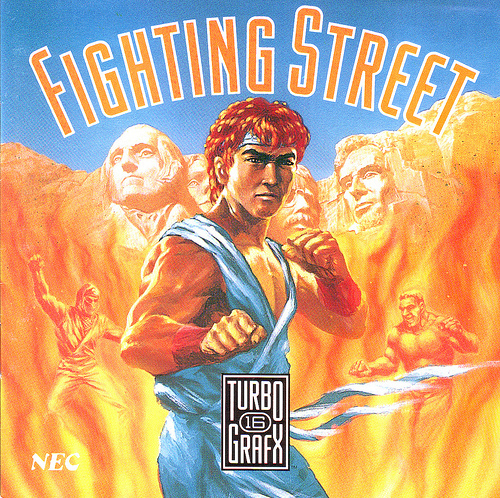 Fighting Street (ストリートファイター Sutorīto Faitā) by Bengus. Turbo Grafx CD ver. pictured. 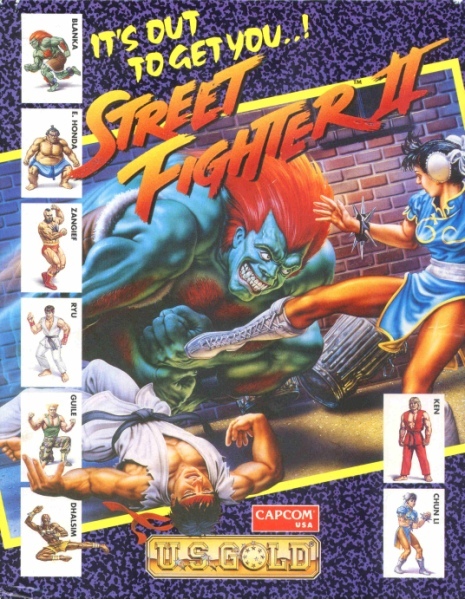 Debut box art for the Street Fighter series. 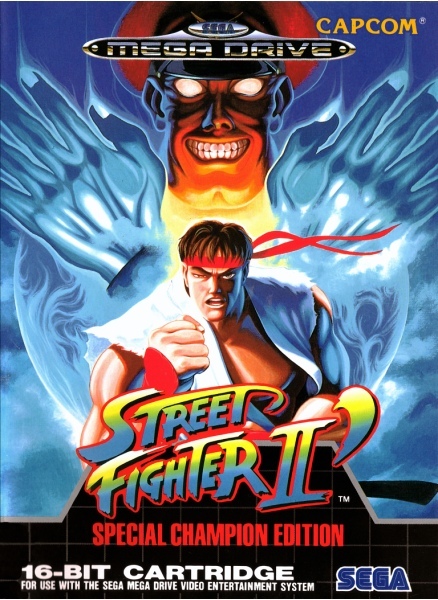 It would introduce the Ryu character who would be subsequently depicted on the majority of Street Fighter related covers. 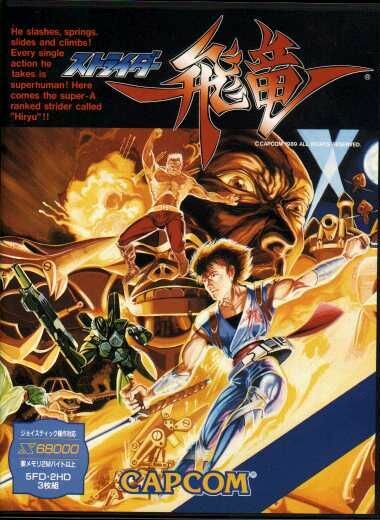 The Turbografx version shown would ship with the Japanese PC Engine cover art intact. This decision would be uncommon for the time and is an early example of eastern art supporting a North American format. Street Fighter II (ストリートファイターⅡ) by Akiman. 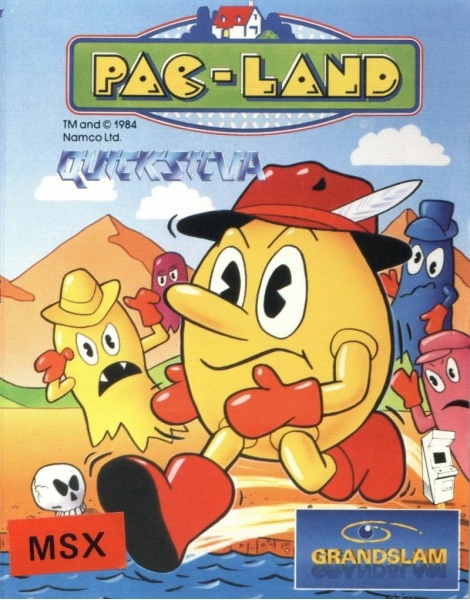 Published by Capcom in 1992 for the Super Famicom market. 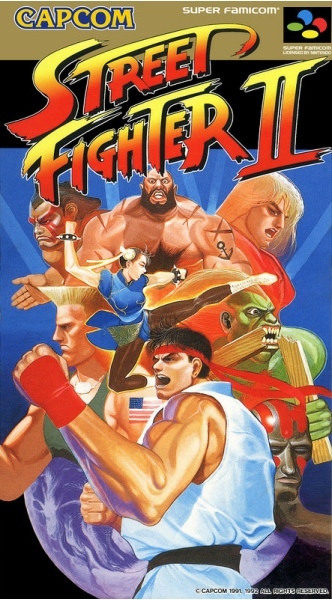 The debut Street Fighter II series box art. Designed by lead designer Akira “Akiman” Yasuda who would also be responsible for the in-game character art. 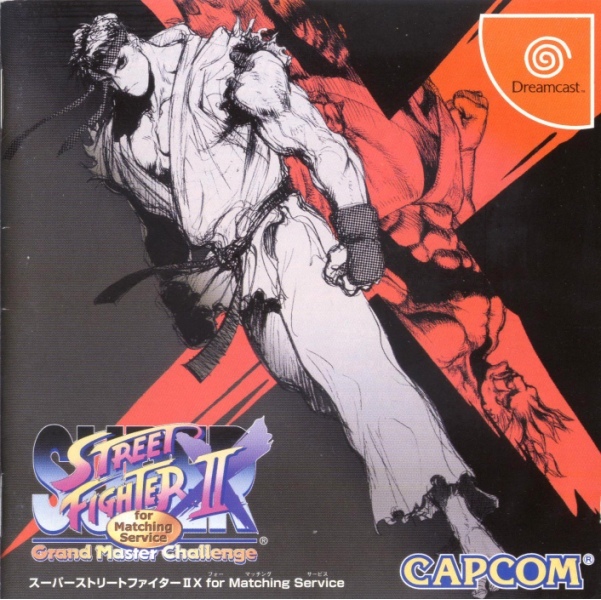 The box art was the same used for the previous years arcade promotional artwork, and was exclusive to Japan and the Super Famicom - much to the annoyance of some at Capcom of America who believed Akiman’s character art would have resonated with North American’s. Akiman’s characterisation would be the basis for all other iterations of the ‘World Warriors’ over the coming years. Street Fighter (main series). Capcom video game series from 1988-2018.